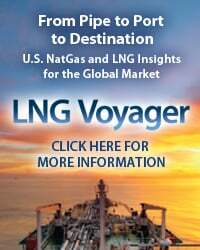 The bases are loaded for another 2 MMb/d of pipeline capacity to bring additional crude supplies to the Texas Gulf Coast by the end of 2014. The majority of that payload will likely be light sweet crude from tight oil formations, a.k.a., shale. As the flood of crude headed to Texas passed through the Midwest over the past two years, prices at Cushing and points north were heavily discounted versus coastal markets. Now the discount action has moved to the Gulf Coast where light sweet crude imports have been pushed out. Today we look at the impact of the changing supply position on crude price differentials. This is Part 1 of a two-part review of Gulf Coast crude price differentials that extends a series on the topic that we started back in November (2013). 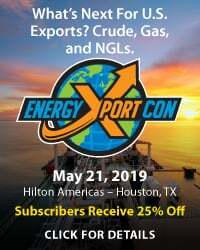 The first episode in the series described 4 MMb/d of current and planned expansions to crude transportation capacity into the Texas Gulf Coast region (see Handling The Texas Gulf Coast Crude Flood). 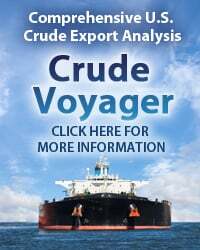 Our analysis showed that the new incoming light crude capacity will exceed Texas Gulf Coast demand by somewhere north of 0.5 MMb/d by the end of 2015. In episode two we described how some of these excess crude supplies would move east on the reversed Ho-Ho pipeline (see Gulf Coast Crude West to East Flows). In episode three we looked at how shippers could divert supplies away from Texas Gulf Coast congestion (see Texas Gulf Coast Bypass Options). 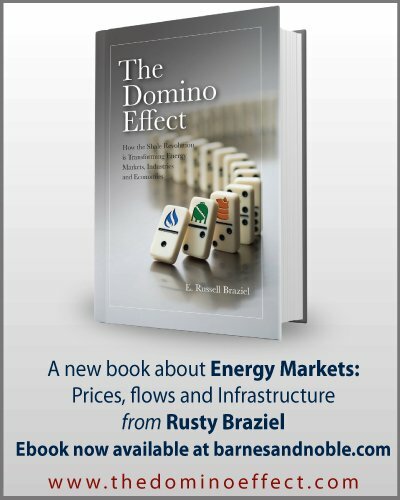 Episode four looked at progress bringing TransCanada’s Keystone XL Gulf Coast extension (a.k.a, Cushing Marketlink Pipeline (CMP)) online (see Keystone Marketlink Comes to Texas). Episode five looked at the impact of the twin Seaway Pipeline from Cushing to Freeport expected online during the second quarter of 2014 (see Impact of the Seaway Expansion). Now we’ll get into what happens to price differentials as new crude supplies come flooding into Texas in the next six months. Forecasting prices for tomorrow is like gambling – only fun if you don’t mind losing money. And the odds of being right get worse the further out the predictions go. So our intent here is to concentrate on price differentials – the spread between key crude benchmarks rather than getting into absolute price levels. We start with a review of what has happened since 2012 and then offer some scenarios for how things might turn out next year (2014). Buckle up. Figure 1 below shows average differentials for key benchmark light sweet crude grades at the Gulf Coast during 2012. The prices are averages for the year versus the West Texas Intermediate (WTI) NYMEX benchmark price at Cushing - set to $0/Bbl. 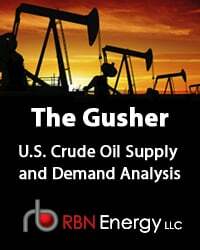 Recall that during 2012 surging crude production in North Dakota and Canada exceeded demand in the Midwest and supplies started backing up at Cushing, OK because there was very little pipeline capacity from the Midwest to the Gulf Coast (where 50 percent of US refining capacity resides). Because of this logjam a stockpile of crude built up at Cushing and inland domestic prices based on WTI were discounted heavily versus Gulf Coast supplies priced against the international benchmark Brent crude (see The Seven Gates of Hell for WTI Traders). Domestic light sweet crude grades sold at the Gulf Coast – represented by Light Louisiana Sweet (LLS) in our diagram - traded at the higher international levels. 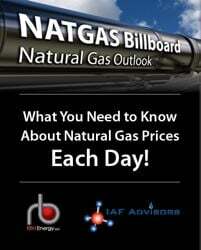 In 2012 both Brent and LLS averaged $18/Bbl above the discounted WTI “stranded” at Cushing. The dotted yellow line on the chart indicates the pipeline ‘capacity constraint’ boundary that split Cushing and Gulf Coast pricing markets at that time. You can think of that yellow line as separating zones of domestic and international pricing along the Gulf Coast region. Prices for WTI are set both at Cushing, OK – the gateway to Midwest refineries – as well as at Midland, TX, closer to the Permian Basin production region. During 2012, Midland prices for WTI were discounted by an average of $4/Bbl to WTI at Cushing because of capacity constraints on the pipelines between Midland and Cushing (caused by surging crude production in the Permian Basin). Until new pipelines opened up from the Permian direct to Houston in 2013, WTI had to travel to market from Midland to Cushing - into an already oversupplied Midwest market (see New Adventures of Good Ole Boy Permian). 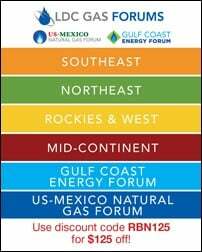 To access the remainder of I’m Waiting For the Crude – Crude Price Differentials at The Gulf Coast Part 1 you must be logged as a RBN Backstage Pass™ subscriber.